So often, our success is based more upon preparation than anything else. Published authors, in particular, are an eclectic bunch…but there are certain traits that lead to their success. And, planning in one of them. Outlining a story…developing an on-line presence…organizing a book launch…developing connections with fellow writers, editors, agents, publishers, and all the rest of the awesome people who make our books become a reality…all of these take planning! 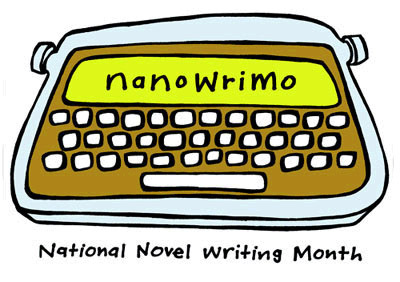 And so does a successful stab at NaNoWriMo! In my last post, you can see my Drop In Calendar, illustrating how I’ve set aside specific writing times in my life. Now, I am looking for reminders and inspiration! Desire! You must sacrifice time and money and endure frustrations galore to reach your goal…if the desire isn’t there, you won’t make it. Discipline! It’s all about production. A quota of words, six days a week. Commitment To Craft! The writers of great books zealously learn the craft of their profession so they can release the power and depth of their imagination and experience. Patience! It takes time, but 1,2, and 3 will help you speed things up. Honesty! Be willing to confront your weakness as a writer. Willingness To Learn! Check your ego at the door, or wherever else is convenient. Never stop learning. Business-Like Attitude! Develop business savvy and professionalism. Rhino Skin! Learn from every rejection…let none cause harm. Long-Term View! Don’t wonder about the book…wonder about the writer? Where is she and how can I release her into the world? Talent! Least important. Everyone has some talent…it’s what you do with it that counts.